I just saw this book demo at fall market and it was amazing yet so simple. 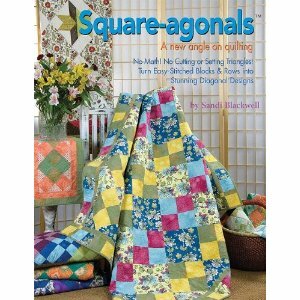 I hate sewing diagonal quilts but love the look. This new technique is so easy I bought the book at market and going to try it as soon as I can. Ideas? Comments? Write a book and you want to see on the blog? I am a quilter and a knitter and I love to look at quilting and knitting books.